An accident can be instant or it can result from repeated exposure at work. You should first call Attorney Javier Marcos. You need to get immediate medical attention to diagnose your condition and avoid it getting worse. Don’t talk with the company that hired you, nor with the insurance company. 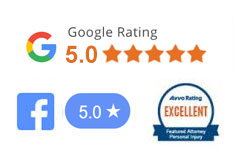 Attorney Javier Marcos & Associates will speak with you and inform you of your rights, stands up for your rights, and seeking the fair compensation you deserve. Do not less time pass, your condition can get worse, and may make it more difficult to recover. You do not have the proper papers to work in Texas and hurt on the job? Your immigration status doesn’t matter. Irrelevant, if you’re here illegally, with permission, or with a work visa we can help you. 1. Talk to Attorney Javier Marcos. You should call the office as soon as possible. Our office is open 24 hours every day of the year. Call now 713-999-4444 / 1(800) 444-8118. 2. Don’t talk with the insurance. Attorney Javier Marcos will take care of talking to them. Remember, they will use everything you say to them against you. Attorney Javier Marcos and Associates knows how to talk to them and protect your interest. 3. Attorney Javier Marcos and Associates will help you consult a doctor. Don’t wait, call now, you could worsen your condition. Misuse of tools and equipment. OSHA violations (Occupational Safety and Health Administration). If you’ve suffered an accident on the job and you believe that they’re at fault for the accident you have a right to file a lawsuit to recover your losses, medical expenses, treatment, pain, and suffering. It’s important that you call the office of Attorney Javier Marcos & Associates. It’s important that there be justice, that your rights are protected and that you receive the fair compensation that you deserve. Loss of income/ Have they not paid you or paid you less on a construction project (construction lien attorney). Attorney Javier Marcos will take care of getting you the money you’re owed on construction projects. Don’t wait for them to tell you: “I’ll pay you next week” then next week comes and they tell you next week. You shouldn’t let more than 30 days from the end of the job go by. If let more than 30 days pass without them paying you it will be more difficult to recover the money you are owed. If you’ve suffered an accident, you have a right to file a lawsuit to recover your losses, medical expenses, treatment, pain & suffering, lost wages, inability to work or function, property damages, and others. It’s important that you quickly call Attorney Javier Marcos & Associates so that you can commence your medical treatment, do not worsen your legal position, preserve evidence, and learn your rights. Attorney Free Consultation is provided by Javier Marcos and Associates, your information is 100% confidential and we’ll visit the accident site, your home, or the hospital. 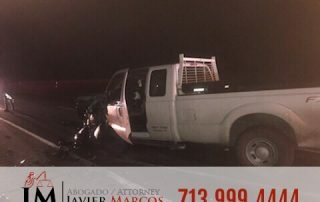 If you need a truck accident attorney, personal injury lawyer, auto accident attorney, motorcycle accident lawyer, road rage attorney, work accident attorney, construction accident attorney, bicycle accident lawyer, maritime accident lawyer, jones act attorney, explosion attorney, burn injury lawyer, chemical exposure attorney, dog bite lawyer, liens in construction lawyer, construction liens attorney, criminal defense attorney or a litigation attorney. 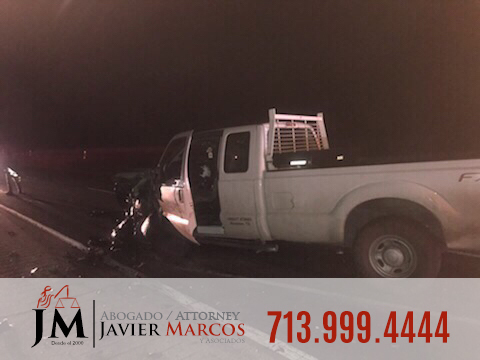 Call Attorney Javier Marcos and Associates, a Texas Personal Injury Lawyer, that will Litigate your case, 713-999-4444 / 1(800) 444-8118. If you have suffered an accident you have the right to file a claim to cover your losses, medical expenses and carry out your treatment. And for this, you will need a accident attorney. You can count on Attorney Javier Marcos 24 hours. It is important that you call Attorney Javier Marcos as soon as possible so that you can immediately begin your medical treatment, defend yourself, not put your legal situation at risk, keep the necessary evidence and know your rights. Free Consultation, receive money for your accident, it does not matter if you do not have papers, here we all speak Spanish. You do not have to pay anything if you do not win the case, you can speak directly with Attorney Javier Marcos in Spanish, receive medical attention without cost, and we WILL GO TO YOU 24 hours a day. 5 stars! Best law firm in Houston! Javier Marcos and his team took care of me when I was hit by a drunk driver. They made it so easy for me while I recover from this accident. I am so thankful for them! If you are looking for a attorney don’t hesitate, this is your guy! Words can not Express my gratitude towards Marcos and his staff! Each one of them provided exceptional customer service. Goes above and beyond. I’m so glad I had a such an awesome experience. I highly recommend Javier Marcos to be anyone’s representative. Stop doing research on any other lawyer. Choose Javier and his staff to take care of you. They are very caring and compassionate team. YOU WILL NOT REGRET CHOOSING THEM! Javier Marcos is an incredible attorney. I have known him over 14 years and have used him on multiple occasions for both personal and business litigation. On EVERY occasion, he was not only successful, but exceeded my expectations, winning me more money than expected or utterly defeating my opponents and putting them in their place!